I was hired as a Patrol Deputy by the Washington County Sheriff’s Office in September 2008 and continued in that assignment through 2012. In 2012, I was assigned as an investigator to the Washington County Interagency Narcotics Team (WIN). This team investigates, disrupts and dismantles mid to high level drug trafficking organizations and is comprised of law enforcement officers from agencies in Washington County and federal agencies, such as the FBI, DEA and HIS. I worked as an investigator until 2015, when I returned to patrol. Upon returning to patrol, I applied and was selected to be a Field Training Officer (FTO). 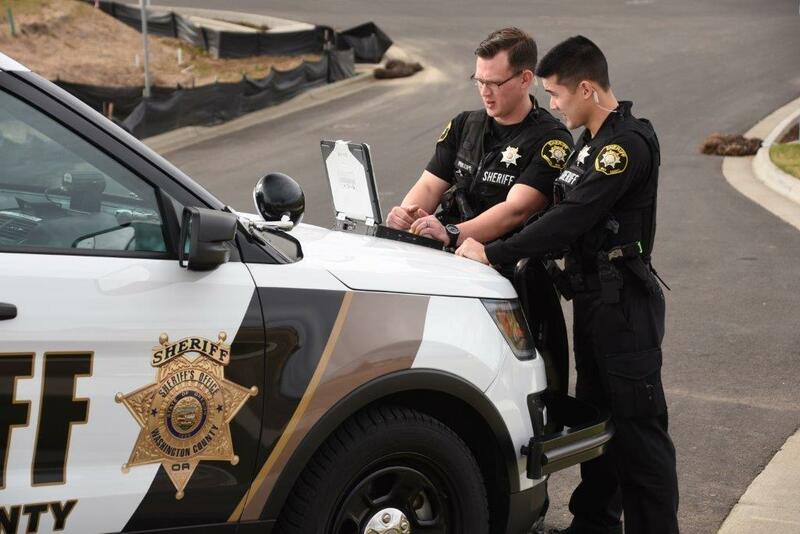 As you may imagine, law enforcement is a unique career with a tremendous amount of specialty training. Each recruit comes to our agency with a huge range of experience and comfort for the work done each day as a deputy. WCSO’s extensive training program prepares each deputy to succeed, no matter what situation they may encounter. FTOs are the first line instructors who work with all new recruits. There is no better way to learn the job than by spending 40+ hours a week working in a patrol car with your FTO. The FTOs who trained me as a recruit, are the reason I am a coach today. Detective Ryan Carey, Investigator Steve Nichols and Detective Pat Altiere each played an integral role in shaping who I am today as a deputy and have all since been promoted. Each of my FTO’s seemed to have a real investment in my success, and this in turn motivated me to do my best. I have many memories from my time as a recruit. A particular day which stands out and, has stayed with me throughout my career, occurred while I was with FTO Carey. I had just been on a call where I took the first person of my career into custody. Without detailing the numerous mistakes I made, I will say I did not perform well. By nature, I am very critical of myself. After the call, I was visibly upset with myself and stated multiple times how poorly I had done. FTO Carey stopped me as we were walking into a Subway for lunch – told you I vividly remember this incident. FTO Carey said mistakes are to be expected and I cannot allow one mistake or bad call to weigh on me and ultimately multiply into more mistakes. FTO Carey conveyed a genuine investment in my success. It was at this time in my training I understood the FTOs were there to guide and teach me this new and overwhelming profession and not there to just document my failures. I feel indebted to the FTOs who gave their time to my development as a Patrol Deputy and I credit them with any successes I have at WCSO. I became an FTO to provide new deputies with this same passion and motivation during the training phase of their careers.